Chevie Kehoe is the oldest of eight sons born to Kirby and Gloria Kehoe. He is one of the most notorious white supremacists in the United States. Mr. Kehoe was one of the most notorious white supremacists in the United States, having engaged in a kidnapping, three robberies, three murders and two police shootouts, all in a quest to establish an Aryan republic for white people. In 1995, Chevie and his father Kirby robbed a man in Tilly, Arkansas. The man, William Mueller, was a friend and an unlicensed gun dealer. A year later, Chevie and another individual robbed the Mueller family again, but this time tortured and murdered William, his wife Nancy, and his 8-year-old stepdaughter Sarah. They dumped the bodies in the Illinois Bayou. The bodies were later discovered by a woman who hooked a shoe and bone while fishing. In 1997, Chevie and his brother Cheyne were involved in a shootout with police officers in Ohio, video from which aired on World’s Scariest Police Shootouts. In 1998, Chevie pled guilty to felonious assault, attempted murder, and carrying a concealed weapon relating to the shootout. 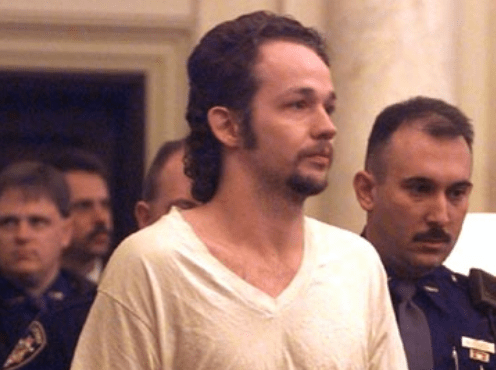 Finally, in 1999, Chevie was convicted of murdering William Mueller and his family. He received 3 life sentences in prison without parole. Chevie’s own mother Gloria and younger brother Cheyne testified against him. In my entire life, my dad always hated this or hated that and never gave me something to love or something to work toward.